Haiti in between two Chinas – a choice between historic relations or economic support? It is widely known that Haiti needs large investments in order to meet the needs of its people: infrastructure, employment, and, as president Jovenel Moïse does not stop to promise: electricity twenty-four hours a day. But the money to meet these needs is not there. In 2017, the mayor of Port-au-Prince had only 7,7 million dollar to spend in his city of more than a million inhabitants. And according to the Miami Herald research showed that in 2016 only a small percentage of its inhabitants paid any taxes. So, with hardly any income, the Haitian government is diligently searching for financial means abroad. One of the nations that seem willing to assist of the People’s Republic of China. 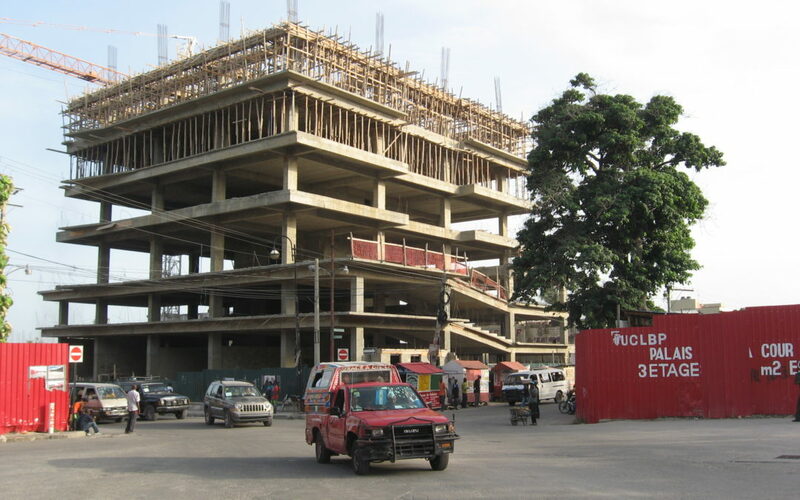 But after the earthquake of 2010 the International Monetary Fund cancelled Haiti’s debt agreeing that the country can only accept low-interest or concessional loans. China’s possible loans don’t meet these criteria. In addition, there is a more political problem: for over sixty years Haiti has maintained diplomatic relations with the other China, Taiwan. And while an increasing number of mostly African countries is severing ties with Taiwan and establishing more lucrative (at first sight) relations with China, Haiti as yet remains faithful to former Formosa. At the end of May, president Moïse visited Taiwan to present his plans to the Taiwanese government, hoping for financial support. His plans are rather ambitious. Seven priority areas that cover a wide range of issues: from infrastructure, such as road construction and electricity network improvement, to health care reform, including the introduction of general health care insurance; from maintenance of watersheds to training of civil servants. The budget is unknown, but has to run into billions of dollars. So far concrete promises of Taiwan are limited to a loan of 150 million dollar for energy supplies. Meanwhile the neighbours seem to be going to receive billions of dollars. The Dominican Republic recently severed the diplomatic ties with Taiwan and is focussing solely on the Chinese, who apparently have already promised over three billion dollar in investments, financial support and soft loans for road construction, infrastructure and a new power plant. This is in sharp contrast with the 150 million of Taiwan for Haiti. As a result, representatives of several political parties in Haiti are debating what the way forward should be: to remain faithful to Taiwan, or to consider establishing diplomatic relations with other nations. Mayor Youri Chevry of Port-au-Prince is convince that he can improve the dire situation in the capital with the help of foreign investments and loans. Chevry, whose main priority during the election campaign last year was rebuilding the city, has turned for support to the People’s Republic of China. In a recent interview in the Miami Herald the mayor explains that he has reached agreement on the transformation of Port-au-Prince with two Chinese companies. The city is bursting at the seams and reconstruction after the earthquake is still not completed. The two Chinese companies would be in charge of water mains and sewage systems, road infrastructure and the rebuilding of the city centre. Still, Haiti’s ties with Taiwan will certainly be a problem. China does not recognize Taiwan and considers the island to be a breakaway province. As a result, China does not do business with countries that do recognize Taiwan. Meanwhile, the recent rupture with the Dominican Republic seems to have alarmed Taiwan, as worldwide only eighteen countries continue to recognize the nation. Immediately after the decision of the Dominican Republic the Taiwanese ambassador had a meeting with president Moïse and the president of the House of Representatives. The ambassador expressed interest in investment in Haitian agriculture, something that would meet Moïse’s wishes: agriculture, especially large-scale agriculture is one of his priorities. The reaction of Taiwan shows that Haiti holds a key position, something that may have strengthened the government’s negotiating position during the recent visit to Taiwan. The small but powerful group of rich Haitian businessmen would like to have closer ties with China. Others doubt that a visit to Taiwan will pay off. Fritz Jean, economist and former prime minister expects at the most fifty million additional dollars, enough to pay for approximately fifty kilometres new roads or a presidential elections. According to him, the future lies in relations with powerful China, as he mentions in the Miami Herald. And what about the other powerful neighbour, the United States? Fighting a trade war with China, the US does not like seeing one nation after another say goodbye to Taiwan in return for connections with China. The State Department confirmed to Republican Senator Marco Rubio that they had made it clear to the Dominican Republic that (Rubio’s words) “they shouldn’t do what they did.” “And they did it anyway,” reacted Rubio in the Miami Herald. Rubio is warning other countries, such as Haiti, not to follow the Dominican Republic, as this could harm relations with the US. Haiti in the middle of a tug-of-war between two super powers. One commentary even mentioned a new demarcation line on the island, where East and West are keeping close watch on each other. Can Haiti take advantage of this position? This is doubtful. So far the visit of Moïse does not seem to be paying off much; the two nations will continue talking. Rubio’s observation that China has its own interests when lending or investing money also holds for the US and Taiwan. 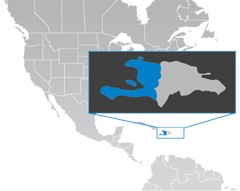 Everyone is interested in the barely extracted gold-, silver and copper resources in Haiti. A true answer to Haiti’s needs for investment seems still far away.